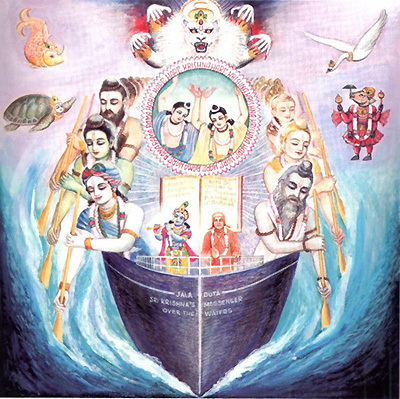 The transcendental journey of Srila Prabhupada on the Jaladuta. Aug 29, SEATTLE, WASHINGTON (WED) — By February of this year, another 100 scientists had joined the ranks of scientists from around the world publicly stating their doubts about the adequacy of Darwin’s theory of evolution. “Darwinism is a trivial idea that has been elevated to the status of the scientific theory that governs modern biology,” says dissent list signer Dr. Michael Egnor. Egnor is a professor of neurosurgery and pediatrics at State University of New York, Stony Brook and an award-winning brain surgeon named one of New York’s best doctors by New York Magazine. “Among the groups of different friends of Krsna, some are well known from various scriptures, and some are well known by popular tradition. There are three divisions among Krishna’s friends: some are eternally in friendship with Krishna, some are elevated demigods, and some are perfected devotees. Five moods of transcendental relationship with the Lord. Madhura-rati, or attachment in conjugal love, is described as follows: The conjugal relationship is experienced between the Supreme Personality of Godhead and the young damsels of Vrajabhumi, and due to their conjugal love they continuously exist in eight kinds of remembrances called madhura-rati. This intimate relationship brought about by conjugal love produces movements of the eyebrows, glancing, sweet words and exchanges of joking words. 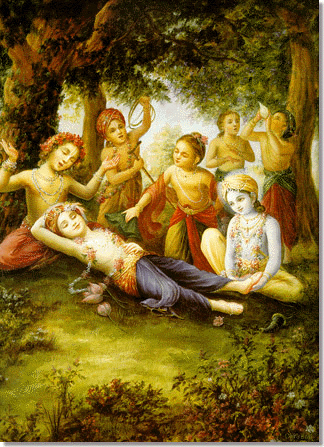 The gopis, the young girls, serve Krsna in conjugal love. Above all of these are Srimati Radharani and Her assistants, the gopis Lalita, Visakha and others, who embody conjugal love. In this way all five mellows – santa, dasya, sakhya, vatsalya and madhurya – exist eternally in Vrajabhumi. They are compared respectively to copper, bell metal, silver, gold and touchstone, the basis of all metals. Srila Kaviraja Gosvami therefore refers to a mine eternally existing in Vrndavana, Vrajabhumi. Vatsalya-rati is described as follows in the Bhakti-rasamrta-sindhu (2.5.33): When a living entity is situated on the platform of vatsalya-rati, he thinks of the Supreme Personality of Godhead in His childhood feature. In this feature, the Lord has to be protected by the devotee, and at this time the devotee takes the position of being worshiped by the Supreme Personality of Godhead. The feelings of paternal love are called vatsalya-rati. When the devotee is situated on this platform, he wants to maintain the Lord like a son, and he desires all good fortune for the Lord. He offers blessings to the Lord by touching His feet and head. As a parent of the Supreme Personality of Godhead, the devotee sometimes chastises the Lord and considers himself to be the Lord’s maintainer. This transcendental sense of being the maintainer of the supreme maintainer is very pleasing both to the devotee and to the Supreme Lord. “Those who are constantly engaged in the personal service of the Lord are called anugas, or followers. Examples of such followers are Sucandra, Mandana, Stamba and Sutamba. They are all inhabitants of the city of Dwarka, and they are dressed and ornamented like the other associates. The specific services entrusted to the anugas are varied. Mandana always bears the umbrella over the head of Lord Krsna. Sucandra is engaged in fanning with the white camara bunch of hair, and Sutamba is engaged in supplying betel nuts. All of them are great devotees, and they are always busy in the transcendental loving service of the Lord. An excerpt from a room conversation recorded June 8, 1976 in Los Angeles offers us some insight into this period of Srila Prabhupada’s historic journey on the Jaladuta. 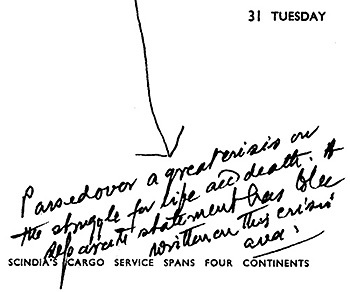 Prabhupada: Hmm. So it is a great history. (laughs) There was two days I was attacked in heart on the ship. So hardship. Guest: Then you had a dream?